Eating your way across North Cornwall’s landscape | Notes from the U.K. This entry was posted in Food, Walking and tagged Cornwall, food, walking, wild food by Ellen Hawley. Bookmark the permalink. 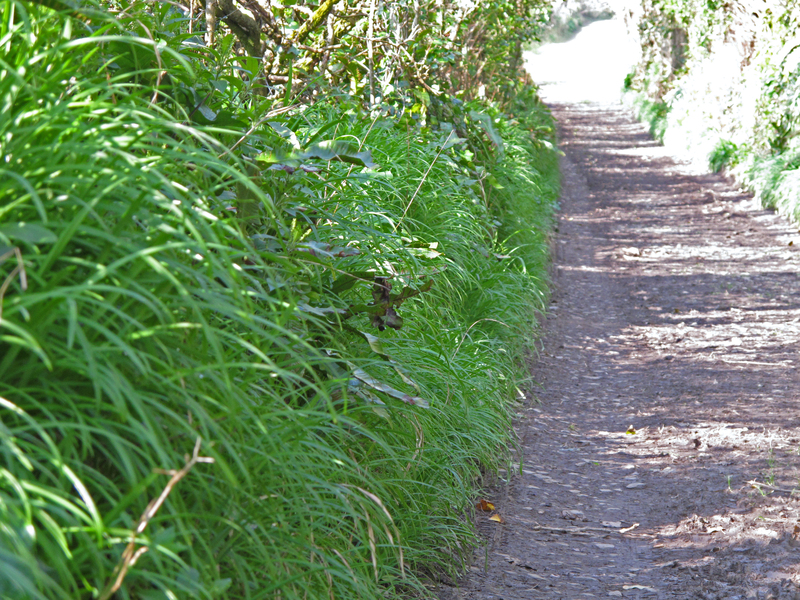 I shall keep my eyes out for what is edible out there… I think hedgerow foraging is great fun! It makes me feel positively virtuous. But then, evening nightshade looks ever so like redcurrant… one must be careful! :-) Great post, Ellen! I think the rule is, never eat anything you haven’t been formally introduced to. A bit Victorian sounding, but safe. This makes me think of the guy in the US who watched too many episodes of Man vs Wild or Extreme Survival or something and decided to make his own Youtube survival video. He made himself a little salad of what he though were edible leaves. In reality his “salad” consisted of oleander, foxglove and hemlock! Seriously? At least his last meal was nice to look at. Back home in Scotland, I had a friend who was into foraging for food. I was always happy to cook and eat the things I found on a walk with him but would then get trepidatious about picking things like fungi on my own. I have cooked with nettles a few times but my favourite wild plant to cook with is wild garlic. I love the smell of it when we walk in the woods and it’s lovely in grub. For some reason, we don’t have wild garlic growing in the immediate area. I wish we did, but it’s all three-cornered leeks. This is fascinating. Diana Gabaldon often refers to nettles in the Outlander series, so to see one and hear how they are cooked bring the story to life for me. Thanks. Thanks for sharing! I learnt something new today. 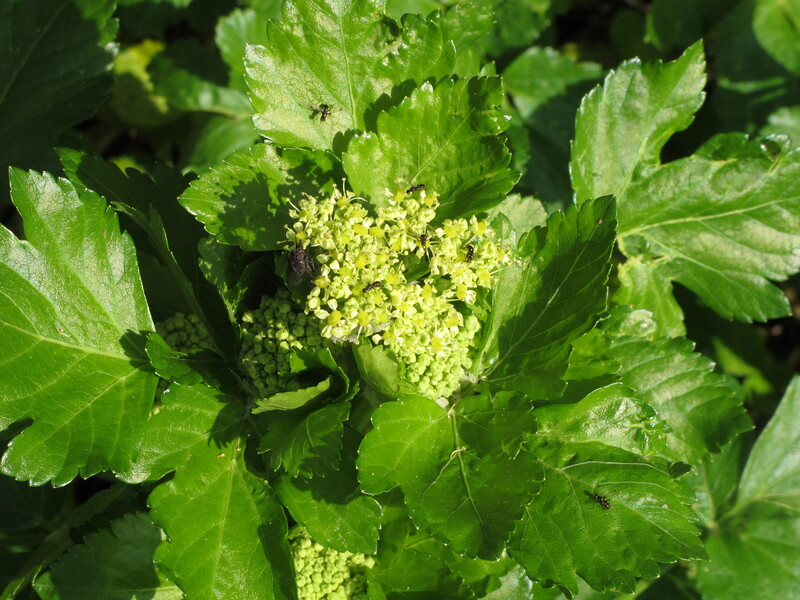 Thanks, never knew you could eat Alexanders. But what about the wild garlic? Here in mid/West Cornwall the woods,( and my garden), are full of wild garlic. It smells like the tame kind but the taste is not nearly as strong, more like young spinach that has been cooked with garlic. Good raw in salad, as soup, fritatta, stuffed into roast lamb or chicken or made into a persto-ish thing. The Yarg chees people even wrap it round some of the cheeses before they are cured. 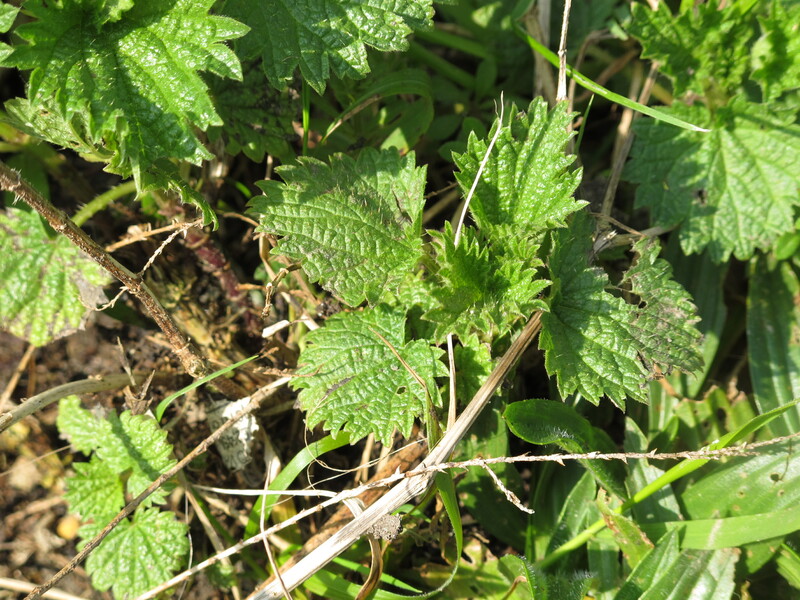 The most common cheese they make has nettles. This is entirely understandable: the woods around the creamery have nettles growing everywhere that is not full of wild garlic. Rebranding what would otherwise be thuggish weeds as culinary delicacies. I didn’t think to mention Yarg cheese being wrapped in nettles. Good point. I’ve never seen the ones wrapped in wild garlic. Sadly, we don’t have wild garlic growing near us, just the three-cornered leeks. Nice post. What about dandelion greens? My Italian grandmother used to make a salad with them, which we all thought was evidence of her backwardness while we gobbled down frozen pizza. 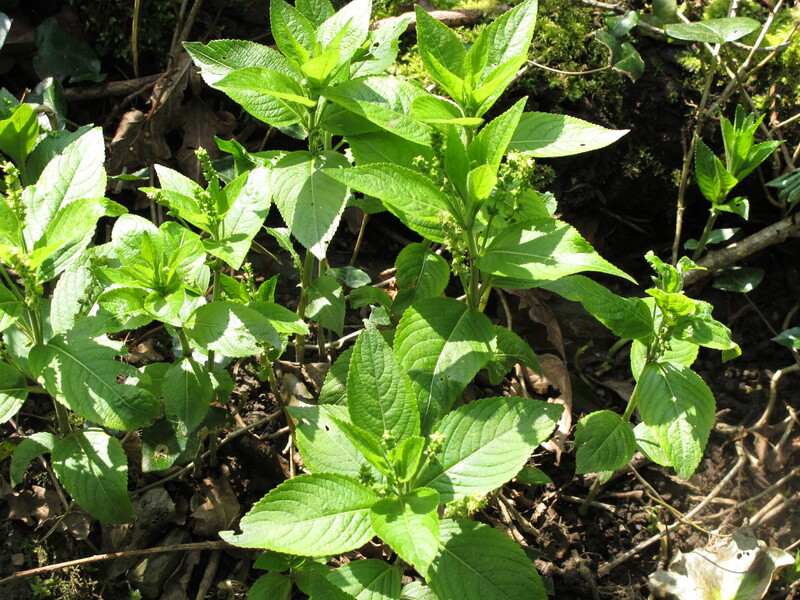 It’s an odd thing, now that you mention it, but I haven’t heard anyone talking about eating dandelion greens–it’s all nettles and wild garlic and so forth. Maybe frozen pizza contains some ingredient that renders dandelions invisible. I’m told you can find that kind of mushroom up on the moors. I haven’t looked. I love this green post! Very very interesting!! Thanks for sharing the Cornwall countryside with us! My pleasure. I love the place. And the pizza-reminiscent plant sounds great! If I ran a pizza place, I’d plant the countryside with it. Ah, that would be great! Pick them and place on top of pizza, direct from the fields! And even better when they’re in bloom–a bit of green, a perfect white blossom, and a pizza. Bliss. The little I know about Cornwall is from Enid Blyton’s Malory Towers series 😉 I clicked this post on seeing the name Cornwall and loved the way you’ve described these plants and their use in delicious sounding recipes…i want a pizza now. As it happens, I made one last night (I just couldn’t hold out any longer) and we have half left. If you hurry, we’ll be happy to share. Except for the dog’s mercury, yes.